Along with the Tobago Cays, Mayreau Island is a well-known diving and snorkeling destination for water sports enthusiasts. The reef systems that are under Tobago Cays Marine Park protection are bursting with vibrant life and color. If you are on your luxury Caribbean vacations, some of the beautiful sights you can see in the blue waters are soft and hard corals, sea fans, sponges and a breathtaking myriad of fish. Of course, prepare yourself to be greeted by groups of green turtles, some nurse sharks and even a reef shark or two. Keep an eye peeled out for eagle rays and perhaps a manta ray in these beautiful clear waters. The Puruni – a 1918 British gunship wreck which sits at the depth of only 40ft. It is the perfect site for beginners and advanced scuba divers. The Catholic Rock – a famous and interesting dive site for the more experienced scuba divers. Mayreau Island can be found in the southern part of the Grenadines, in the west of Tobago Cays and the north of Union Island. It covers about 1 and a half square miles (3.9 sq. kilometers) and has a population of approximately 308 people, most of which make a living from tourism and fishing. The east side of Mayreau is marked off as a protected area of Tobago Cays Marine Park. There is a quaint and friendly village that is usually referred to as “Old Wall” that can be found in the elevated area of Mayreau. In it is a most beautiful, Old Catholic church made of stone, which was inspired by the Roman Catholic religion of the island’s French settlers. On the coastline are three bays with a large expanse of pristine, white beaches. Saline bay contains a jetty, which is used by the ferry between Union Island and St. Vincent. Salt Whistle Bay on the other hand is established as the anchorage for docking yachts. This bay has exceptionally white sandy beaches and crystal blue waters, perfect for lounging about and swimming in. The northernmost beach is called Windward Careenage. Windward Bay and Upper Bay are on the south point of Tamarind Hill. It’s at 280 feet, making it the island’s highest location. There is also a big pond to the south of Mayreau Island between Windward Bay and Saline Bay, which was used for producing commercial salt. One of the several famous dive and snorkeling sites is called Mayreau Gardens and can be found just a little off Mayreau Island’s east coast. It is made up of stunning coral reef formations situated in the middle of nearby Tobago Cays and the island. Mayreau is an exceptionally small island and the best way to explore it is on foot. If you are not up to trekking, there are water taxis that you can hire. They can take you to nearby Tobago Cays or to other destinations within the island. There is only one road that connects Saline Bay to Salt Whistle Bay. If you choose to walk along it, it will take about an hour, with a small climb up to the village. There are also about two trails from this road that take you to the dry coastal forests of acacia, sage and cacti. Keep your eyes wide open and perhaps you can even spot an iguana or a tortoise here in Mayreau Island. 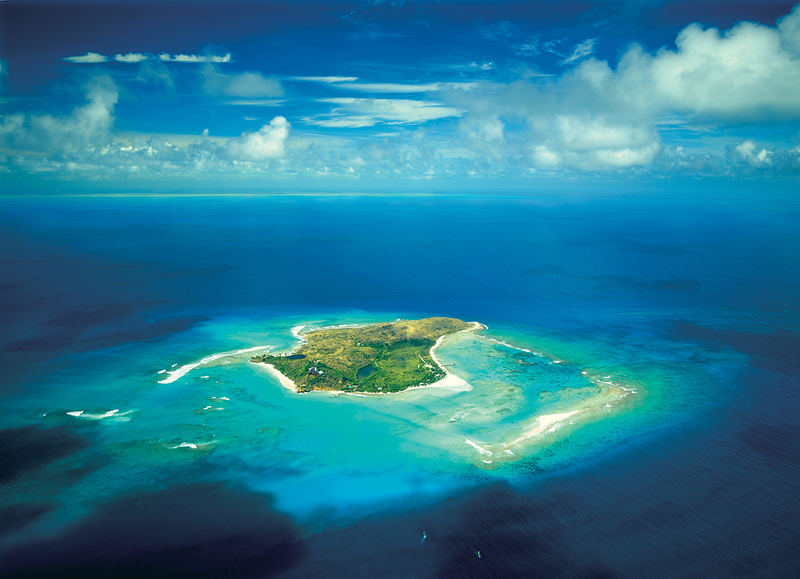 Also check out Tobago Cays in detail.